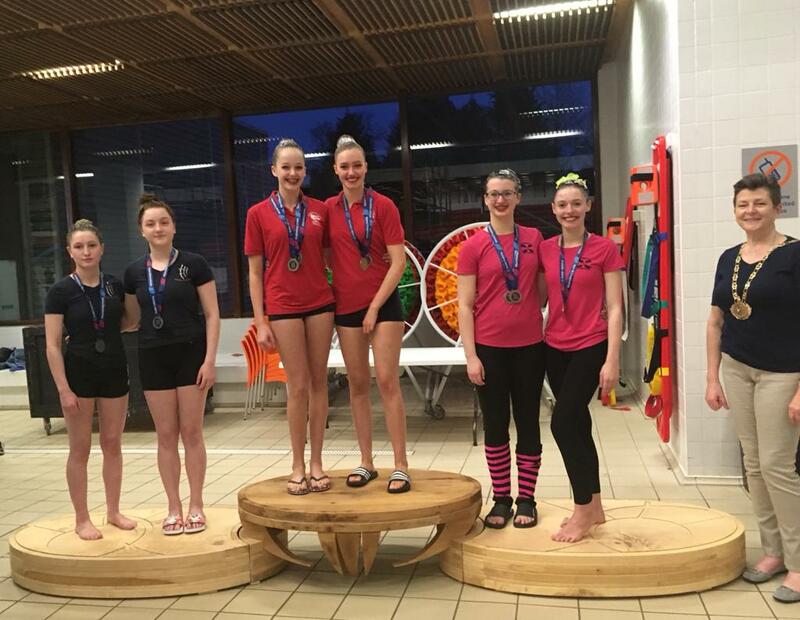 The 12&unders, 13-15s and Juniors took part in individual figure / element sections and the Juniors also competed in the open technical routines.Rose M narrowly missed out on the medals in the 12&unders, coming 4th. 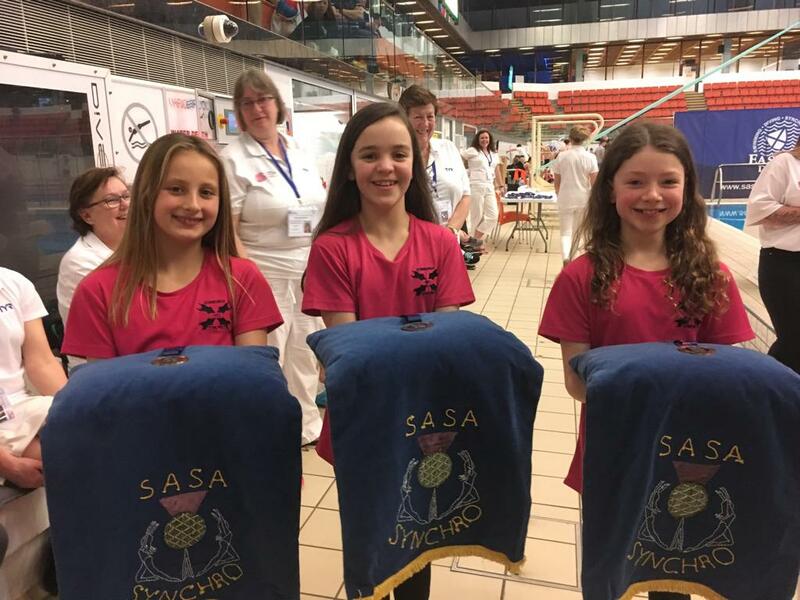 Our 12&unders also doubled up as excellent medal carriers. 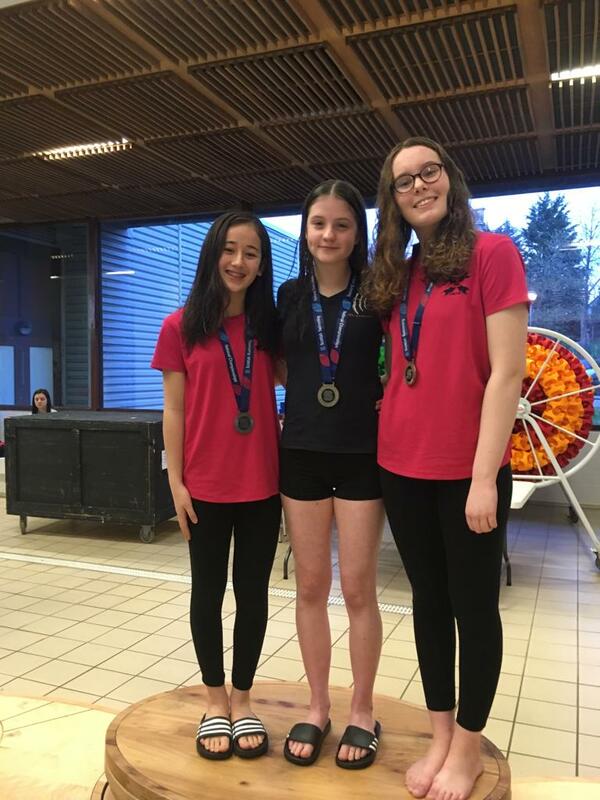 Kiku and Mae won Silver and Bronze respectively in the 13-15s. Niamh won Bronze in the Junior elements. Cale and Niamh won Bronze in the technical duet. 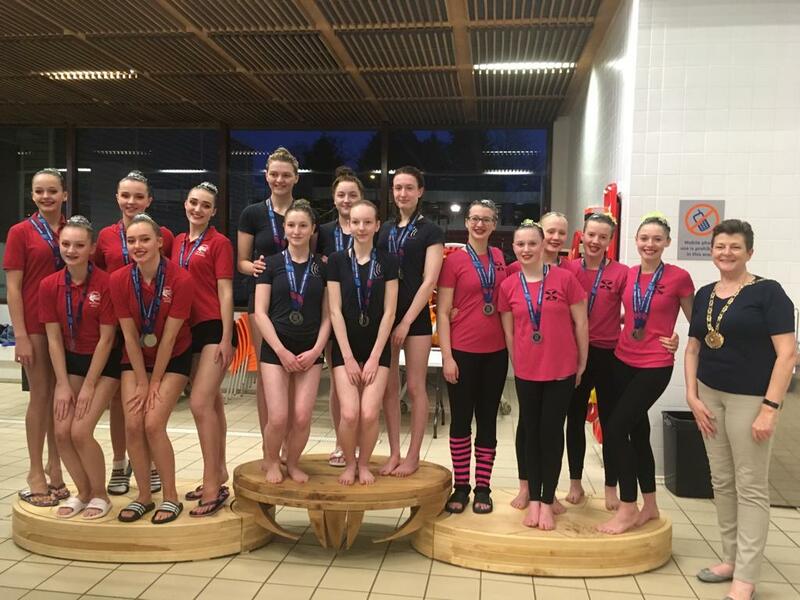 The Junior team won Bronze in the technical team. It was a great competition. 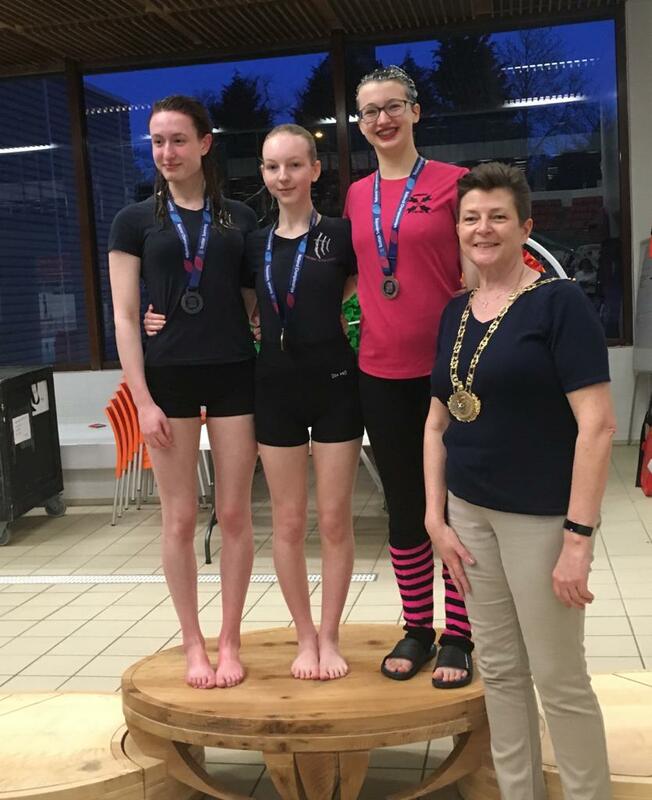 Congratulations to all the swimmers who took part, and thank you to all our club volunteers who were officials and to our swimmers who came to be runners. Videos of the technical routines are here.